As winter rages onward, we often worry about heating and the maintenance required to keep our homes warm. Depending on the quality of care, the average life expectancy of an HVAC system is 15 years to 20 years. Therefore, it’s a good idea to keep the system in tip-top shape. Bloomington Heating & Air has of decades of experience providing HVAC installations, maintenance, and heating repairs. 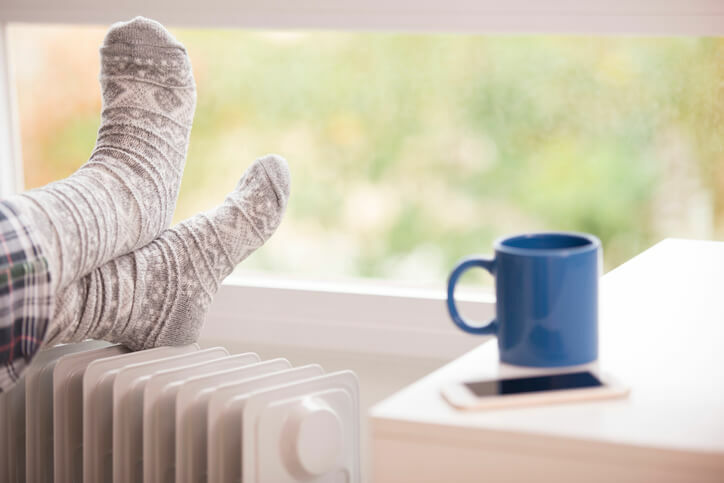 We know how important a functioning heating system is for keeping your household comfortable and inviting when the cold air arrives. While scheduling regular professional HVAC maintenance is your best bet for preserving the system, these tips can help maintain proper heating and cooling between service check-ups. By utilizing the following tips, your system is more likely to function properly and maintain the designated indoor temperature. Our HVAC experts recommend to use the following tips in conjuction with routine maintenance. When it comes to furnace repairs, changing the filters will improve the air quality in your home, plus the unit won’t have to work as hard to move air. However, we recommend scheduling heating repairs for routine maintenance with a technician who can help manage your system on a bi-annual basis. Leaks are common around improperly sealed windows and doors in homes. While your HVAC system works hard to heat the home, air leaks funnel warm air outside, while allowing cold air to seep inside. This can cause your heating system to work harder than necessary and suffer wear and tear. To remedy this, ensure that each door and window is closed and locked. If air still leaks through, use caulk around the perimeter of windows or doors to seal them shut. It's important to give a heating system an inspection from time to time to check for any debris or trash that might be blocking air vents. A deep clean will eliminate dust within the air vents. It also helps system longevity and your family breathe easier. This can be done with a vacuum hose, paper towels, and a brush. For homes with an HVAC unit, a frequent problem that occurs is that the insulation around the system’s refrigerant line tends to degrade. Letting this problem go unchecked or unrepaired not only erodes the cost-effectiveness of your home’s HVAC system — but it can also cause mold growth due to condensation, which may cause health issues. When you increase the temperature on the thermostat, the heating system should kick on. If the heat comes on and turns off after a short amount of time, or if there is a delay in function, it's likely that the thermostat needs to be recalibrated or replaced. Smart thermostats offer automation and greater control over your home’s heating and cooling. Not only are they more accurate than regular thermostats, but homeowners can check the house temperature from a smartphone at any time and adjust it as needed, resulting in more efficient energy use and a lower utility bill. Another great way to make sure your system is ready to heat is to schedule planned HVAC maintenance with Bloomington Heating & Air. Our experienced technicians inspect the ins and outs of your home’s heating system and make any necessary repairs. Don’t get stuck in the cold this season. Call us today to schedule HVAC services residents count on for installing, maintaining, and repairing their home’s heating and cooling system.